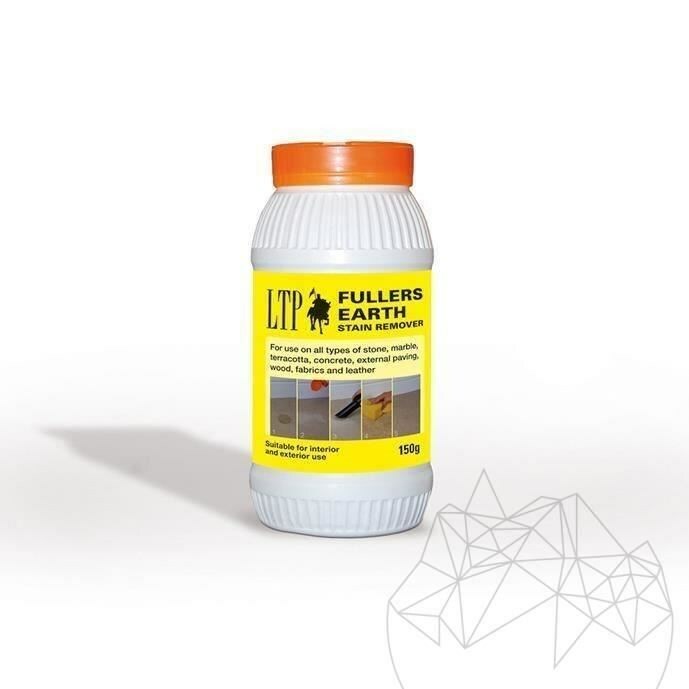 LTP Fuller's Earth is an ultra-absorbant stain remover for all greasy stains (oil, grease, make-up, sebum). Suitable for interior & exterior use for use on all types of stone, marble, terracotta, concrete, external paving, wood, fabrics and leather. 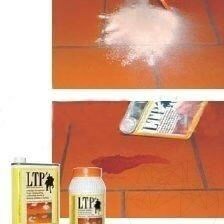 Product intended for use with Stain Remover LTP Spot. Fast delivery by courier. Sponge the stain as much as possible with a clean cloth without rubbing, going from the outside to the middle of the stain. Shake the container well and powder the stain with the fuller’s earth. Leave for at least 30 minutes then delicately brush. Apply again if necessary. 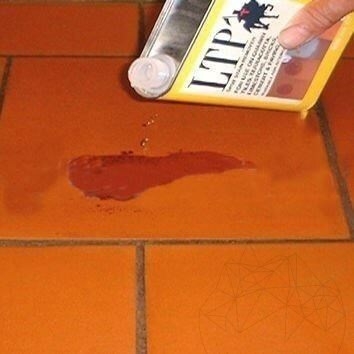 Apply directly onto the stain making sure to spread the solution out to the edge of the tile up to the grout joints and leave to absorb into the surface for about 5-10 minutes. Powder the stain with the LTP Fuller’s Earth. 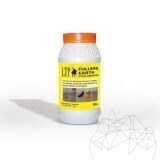 Wet the powder again with the LTP Spot Stain Remover and then cover it once more with the Fuller’s Earth. Leave for 24h. Brush away the powder and wash with a dilute solution of LTP Grimex. Rinse well before re-sealing. For stubborn stains renew the application as many times as necessary. On delicate surfaces, first make a test on a hidden area.